Some shopping centers serve a local population, others predominantly tourists, and still others part-time residents. But the $200 million Coastal Grand – Myrtle Beach has been designed to appeal to all three. 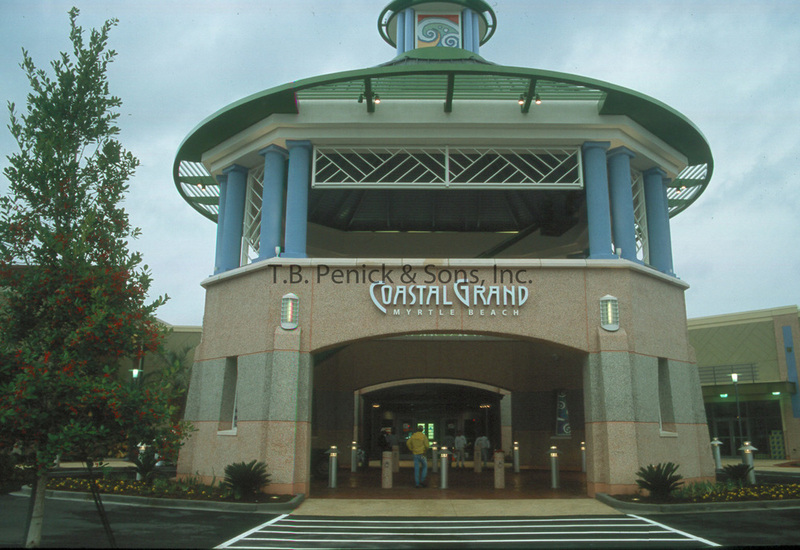 The project was originally called Mall of South Carolina, but the developers renamed it to suggest the nature of its immediate surroundings. The design too was intended to reflect the character of the area and please tourists and locals alike. 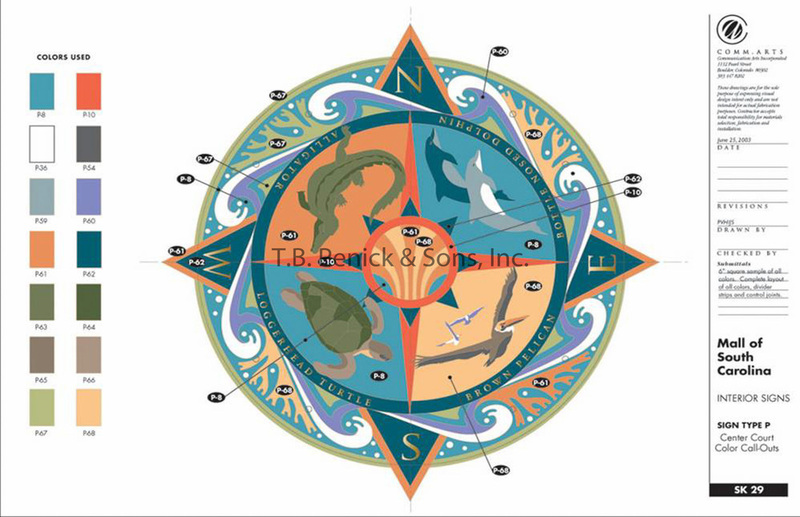 The design is driven by Myrtle Beach’s past, present, and future – it’s rich history, what it is today and the anticipation of what it will be years from now; reflecting both the beach architecture and Low Country architecture (“low country” refers to an American architectural style that borrows from the Southeast coastal region and whose design features include wraparound porches and expansive windows) to mirror the neighboring town of Conway, which has a more traditional design. To capture the lure and leisure of the beach area, the side facing the coast utilizes wood lattice, grillwork, and stucco with embedded oyster shells. The low country side of the project uses mottled brick and textured mortar joints. Inside, the goal was to create authenticity for the local. Oceanfront beach pavilions abundant along Myrtle Beach in the early 1900’s inspired the design and personality of the food court. The interior is light and airy with painted wood clapboard walls, breezy ceiling fans and streaming natural daylight. T.B. 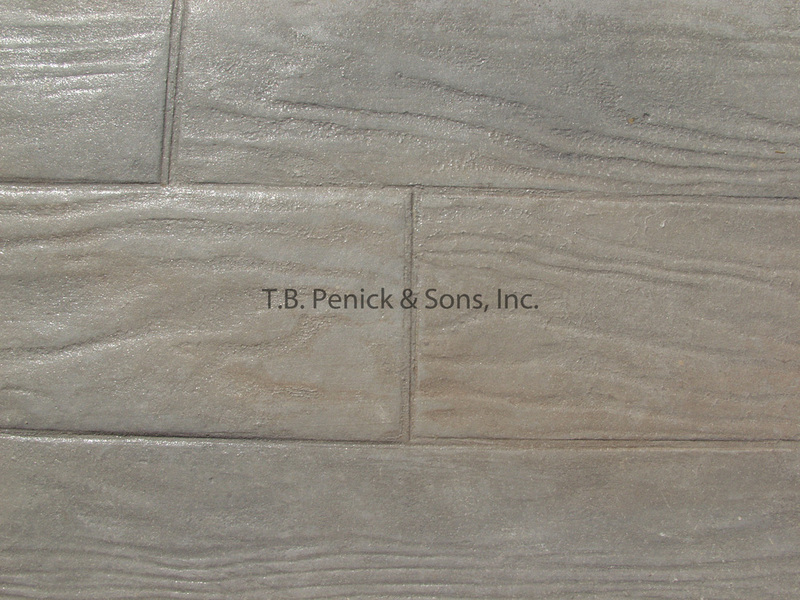 Penick & Sons, Inc. worked hand-in-hand with the designers, Communication Arts to create flooring that would complement their design. 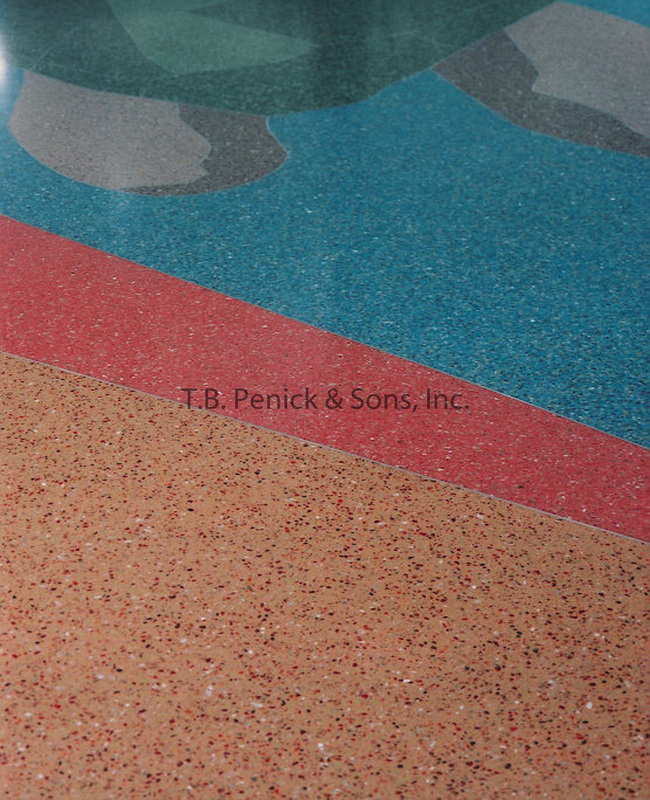 With custom molds and proprietary coloration systems, the concrete floors were textured and colored to resemble wood and evoke boardwalks and docks. 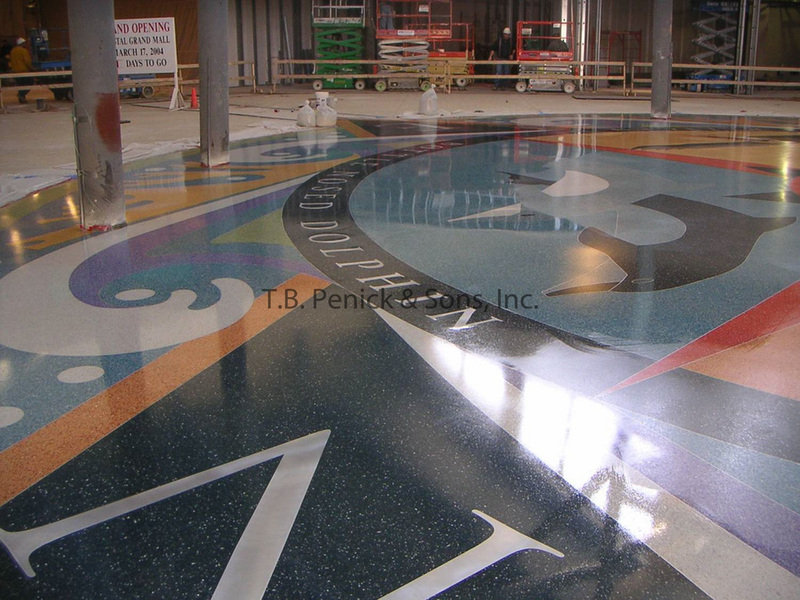 The seashore, surf, fauna, and fishing piers inspire the Center Court which features a playful and bright terrazzo floor highlighting the regions natural beauty and indigenous animals, with some of the graphics spanning 30 feet long. An open-air restaurant cluster features quarried stone integrally colored concrete seeded with oyster shells, Herringbone brick patterned fields set-off by 4 foot wide bands of concrete in a stacked brick pattern. 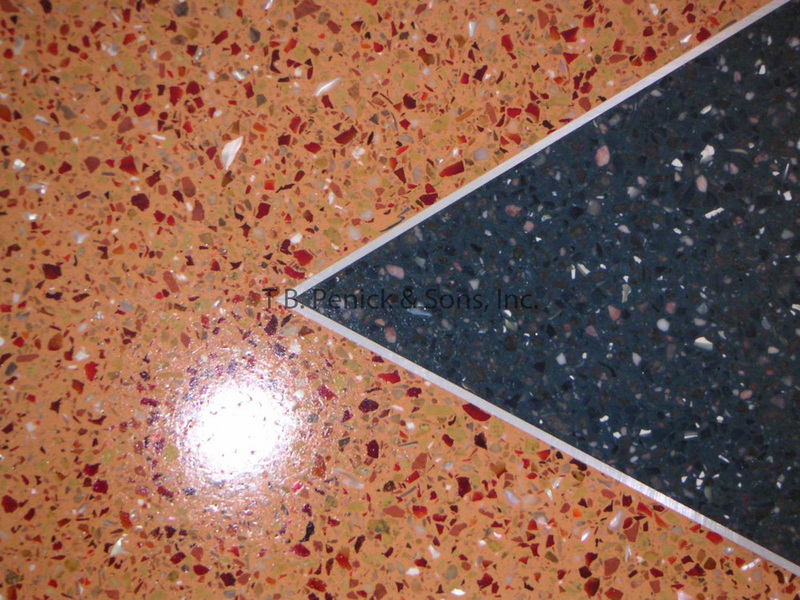 The interior and exterior finishes are all complemented by hidden expansion joints.